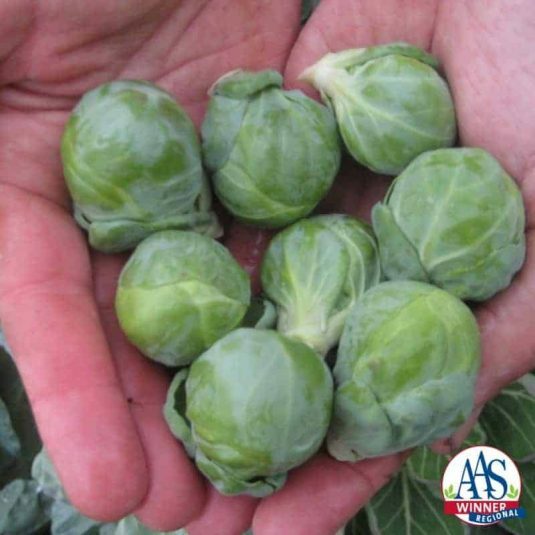 Hestia is only the second Brussels Sprouts ever to be granted an AAS Winner designation. 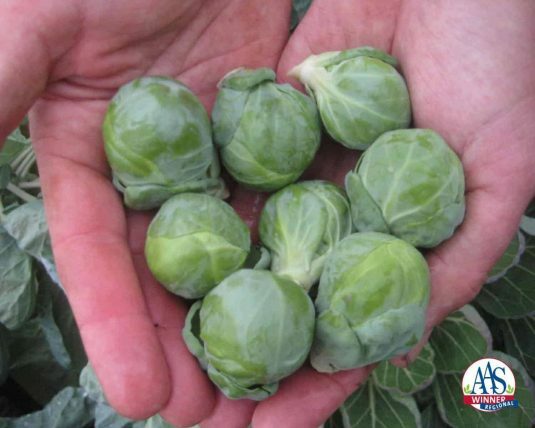 This is an excellent flavored trendy and popular vegetable with a bright green exterior and smooth, dense yellow interior. The erect plant maintains its nice habit throughout the season and was judged notably more uniform than comparison varieties. Hestia tolerates much cooler temperatures and the flavor improves deliciously when the temperatures dip into the 30’s. 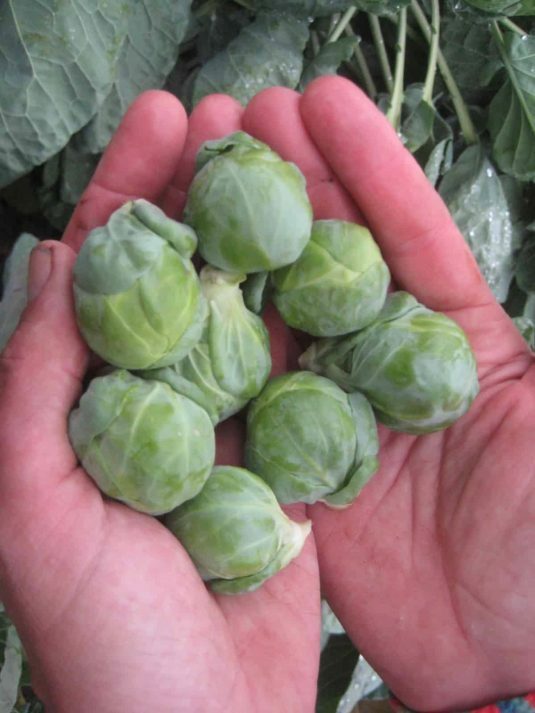 Nice, erect Brussels Sprouts with great flavor. The potential for a second season crop in many areas as variety tolerates both warm weather and cool. Other varieties require cooler temperatures for sweetness. Space transplants 18-24 inches apart in full sun. In cold-winter weather areas, sow as a transplant in spring for a summer-fall harvest. 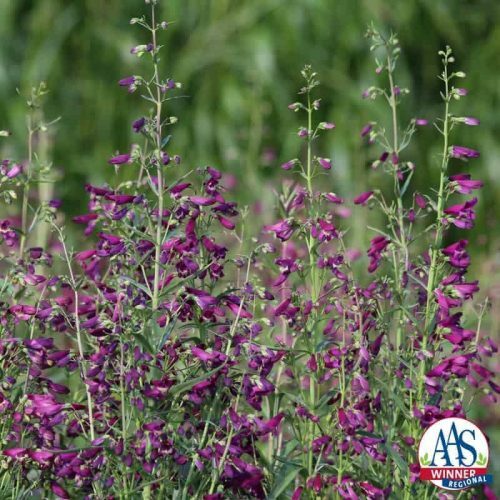 In mild-winter areas, plant in late summer and fall for winter-to-spring production. There is the potential for a second season crop in many areas as Hestia F1 tolerates both warm weather and cool. Can be planted a little later by mid-July. 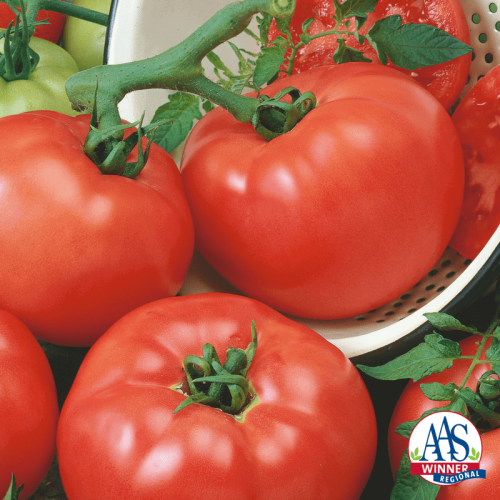 Other varieties must be planted by May and require cooler temperatures for sweetness. 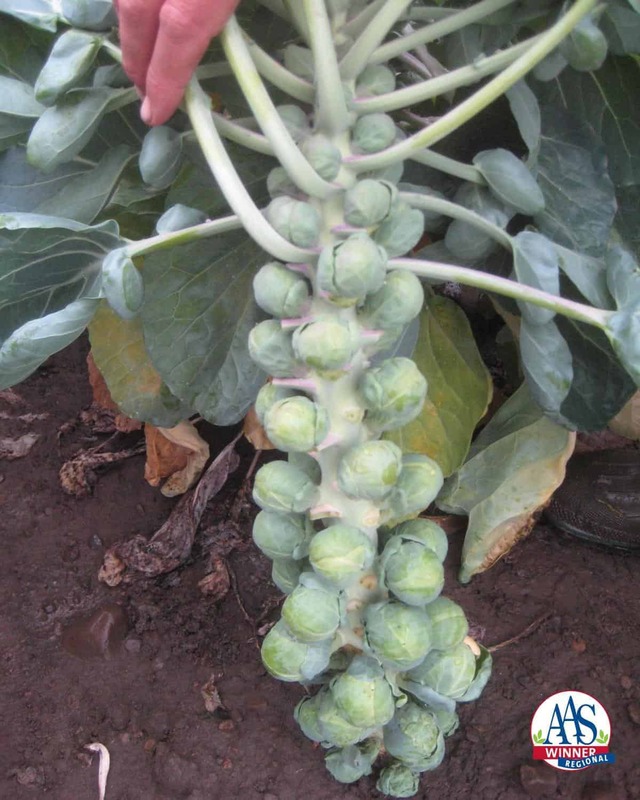 Harvest can be progressive from bottom to the top of stalk over several weeks. Or, when lowest sprouts are thumb-nail size, break off the very top of the plant to get uniform sprouts along entire stem. Hestia performed very well in coastal Southern California. Excellent taste and compact, productive plant. For us, they replace Jade Cross. We plan to grow them every winter. I have grown these in straw bales in Indianapolis, In 2 years straight and they are true to their word, straight plants, long harvests, both last harvests were in January each year!